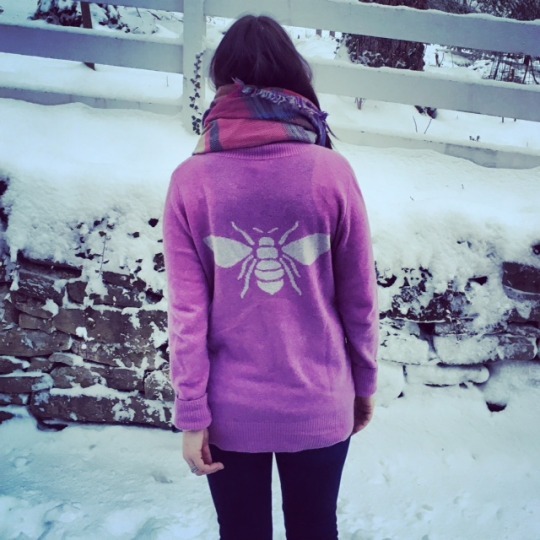 I am so so SO excited to share the news that one of my favorite clothing stores, Khakis, is running a phenomenal fundraiser for Cincinnati Children’s Hospital in honor of our little bumble Bea. In the month of March, stop into Khakis in Hyde Park Square and purchase this BEAutiful 100% cashmere sweater and 25% of the sales will go to the research of Biliary Atresia at Cincinnati Children’s Hospital. If you can’t make it into the store, call 513.871.1212 and place your order over the phone. There is only a limited number so stop it ASAP! and THANK YOU for your continued support and #BEAstrong!